Love You More Necklace. The perfect saying to encapsulate the romance of the late 19th century. Show someone just how much you love them with this necklace that tells them exactly that. The Love You More Necklace is inspired by the quote ‘There is no remedy for love but to love more’ by Henry David Thoreau. Jewellery, for as long as remembered, has always had a special way into a girls heart. This Love You More Necklace makes for a more unique piece to add to her collection of jewels, and she is sure to fall in love. An all time favourite with my customers from the collection, giving you a safe bet that she will fall head over heels in love with the piece. 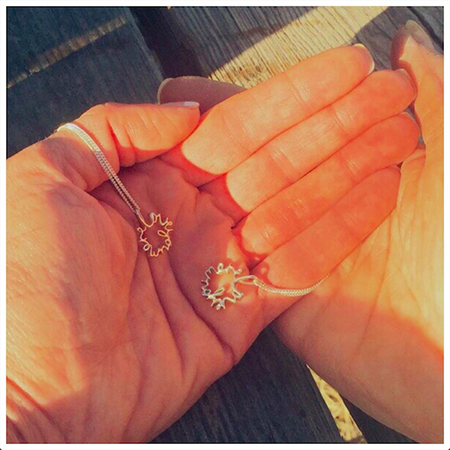 Here’s Jennifer’s Bianca Jones Jewellery Story with her Love You More Necklace. Love You More Necklace by Bianca Jones Jewelley. The perfect saying & a token of sweet love.